Click on images below to download full page size instructions. 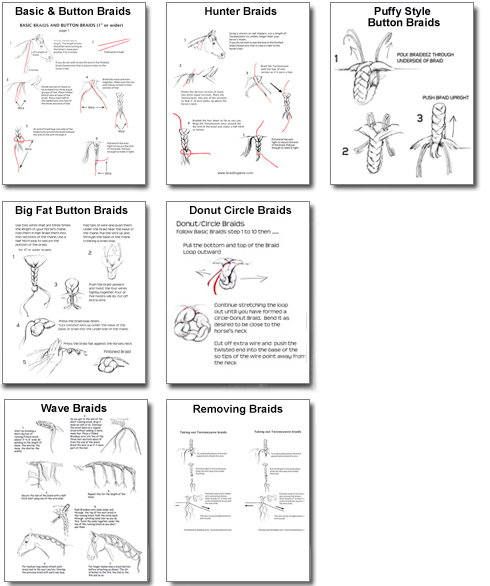 Braiding wire is designed to give moldable structure to your horse braids.The volume of hair and the size of a braid determines the amount of wire that will be necessary to ‘hold’ it in the desired shape. One braideez wire folded in half will do for braids up to 2” wide. Two braideez wires –side by side- folded in half for braids 1” to 2” wide. T wo or three braideez wires used side by side and folded in half for braids 2” and wider. 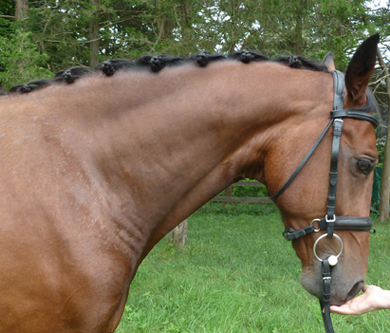 Often a horse’s mane will vary in thickness /volume on different areas of his neck. You may only need one wire for some braids and two for thicker sections. Basic, Button Braids and Donut/Circle Braids.